This Drakes Pride bag features "double wheels" systems on the base which are more durable than standard single wheel versions and create a smooth gliding effect. The extending handle is of a very robust and sturdy construction and is designed not to restrict the storage space within the bag. The body of the bag consists of two main compartments, one section for storage of both bowls and bowls shoes and another for clothing. The bowls are stored ready to be carried to the green in matching Duel bags. Above the bowls even large pairs of gents shoes can be easily stored. The face of the bag has two handy zipped pockets are ideal for storage of bowls accessories, mobile phones etc.Height 44cm (17.5"), Width 35cm (13.5"), Depth 22cm (8.75").Available in Black, Petrol, Purple, Navy, Royal & Maroon. FREE Posatage in UK Mainland. 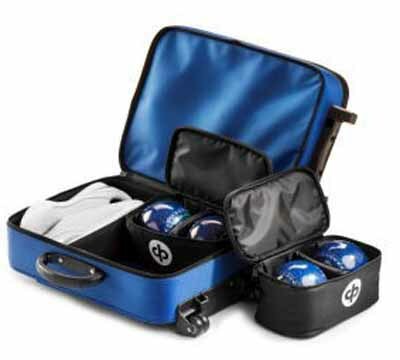 The new Drakes Pride locker bag is the ideal mini trolley, with plenty of room for bowls, shoes, clothing & accessories. Available in 3 colours, Maroon, Navy, Petrol. 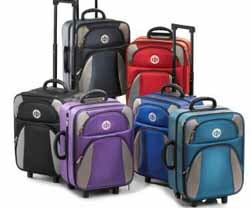 The small sized trolley bag ideal for most club lockers. 41cm x 29cm x 24cm (HxWxD) FREE Posatage in UK Mainland.